﻿ News Bharati - When the Army Chief does some plain speaking…. News Bharati - When the Army Chief does some plain speaking…. When the Army Chief does some plain speaking…. 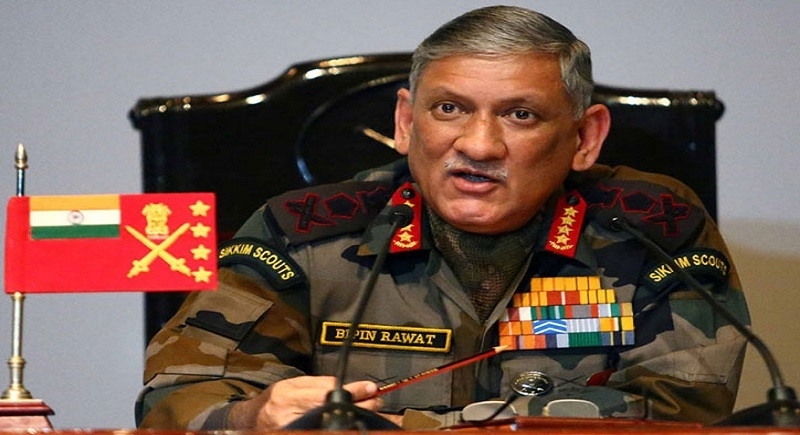 The observation made by the serving Army Chief of India Gen Bipin Rawat about the phenomenal growth of Muslim population in the border state of Assam and substantiating it with the example of the growth of two political parties, has attracted a lot of criticism from political parties and the media as well. Participating in a seminar on “North East Region of India – Bridging the Gaps and Securing Borders” in New Delhi on Wednesday organised by Centre for Joint Welfare Studies and Headquarters Integrated Defence Staff of the Ministry of Defence, the Army Chief observed that the ‘planned influx’ of people from Bangladesh into India’s north-eastern region is a part of proxy war Pakistan is engaged against India with China’s support. Gen Rawat further said: “I don’t think you can change the population dynamics of this area. If it was five districts to eight to nine…the inversion has taken place, whichever be the government”. To explain and substantiate his observation, Gen Rawat gave the example of a political party headed by Assam MP Badruddin Ajmal and compared it with the Bharatiya Janata Party (BJP) in respect of their growth. “There is a party called AIUDF, if you look at it they have grown in faster time-frame that the BJP grew over the years”, Gen Rawat said referring to BJP winning only 2 parliament seats in 1984. “The AIUDF is moving at a faster pace in Assam”, he added. The Army Chief also attracted the attention to another area of national concern and that is the “planned influx” of people from Bangladesh as part of the Pakistan’s proxy war with the tacit support of ‘our northern neighbour’ China. 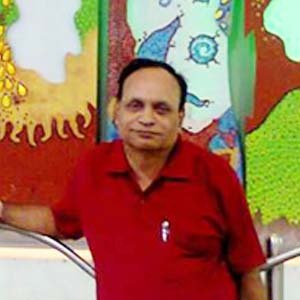 He said, “Migration from Bangladesh is due to two reasons. One is they are running out of space, especially during the monsoons. The other issue is planned immigration which is taking place because of our western neighbour (Pakistan). They will always try and ensure that this area is taken over. It is proxy dimension of warfare. This proxy game is being played very well by our western neighbour supported also by our northern neighbour”, he added. What Gen Rawat said is not far from the reality and all those who opposed him are also pretty aware of the ground situation. But all of them raised objection on what he said and felt that the Army Chief has exceeded his brief. The Indian Express in its editorial captioned “Line of Control” said that the General’s remarks were significant and disturbing as they crossed the line ‘drawn and respected’ in independent India between ‘domestic political arena and serving military officers’. “…these public pronouncements by the Army Chief can potentially sharpen anxieties and insecurities”, the editorial said. The Indian Express editorial also had some reservation on the Army Chief doing some ‘plain talk’ on the illegal immigration from across the Bangaldesh border as part of the proxy war by our western neighbour supported by our northern neighbour. The editorial apprehended that such statements would disturb political and diplomatic relations with our neighbours and that the top leader of the army need not indulge in such acts. The ‘Times of India’ advised the Army Chief to “refrain from making political points” in its editorial titled “Loose Talk”. The paper took objection to Gen Rawat’s statement on ‘planned influx’ of people from Bangladesh and his comparison of AIUDF and the BJP in respect of their growth. Terming it ‘totally unnecessary’ the editorial said, “Rawat ought to refrain from making public political comments.” The editorial justified migration as phenomenon taking place primarily for economic reasons and invalidated the General’s claim of Pakistan and China supporting it as part of proxy war against India. It also advised the General to ‘maintain the army’s political neutrality’ lest we become a bit like Pakistan. The secular, progressive opposition parties also launched an offensive against the Army Chief for making political comments. The AIUDF was the first to comment. Its president Badruddin Ajmal addressing a press conference said that it was ‘shocking’ to hear such a politically loaded statement from the Army Chief. By his statement he has ‘offended us and offended our party’, Ajmal said. Ajmal said, “The Constitution has given him the responsibility to lead the great Army and not to monitor the rise and fall of any political party. He has stepped outside the limits the Constitution has set for him”. The CPM and AIMIM too joined hands with the AIUDF in criticizing the Army Chief for his alleged ‘indulgence’ in politics. CPM leader Vrinda Karat viewed his comments as “inappropriate and seemed to be aimed at politicizing the Army”. She also wanted the President – the Supreme Commander of armed forces – to take a serious note of his statements. AIMIM Chief Asaduddin Owaisi wondered whether the General had the ‘blessings’ of the Central Government to make such political statements. “Politics in Army is poison. Keep off it”, he tweeted. Now, all said and done, what was wrong in the observations of the Army Chief? Isn’t it a fact that there has been largescale influx of people from across Bangladesh and earlier East Pakistan to Assam and neighbouring states? Isn’t it also a fact that the word “lebensraum” meaning space was first used by Mujibur Rahman to justify the migration of people from his country to India? Isn’t it a fact that efforts to include Assam into the then East Pakistan were going on since the pre-independence days under the leadership of M. A. Jinnah? Isn’t it a fact that the people of Assam under the leadership of All Assam Students’ Union (AASU) and All Assam Gana Sangram Parisahd (AAGSP) launched a six-year long agitation against this illegal presence of Bangladeshi citizens in their state? Isn’t it also a reality that the prolonged procrastination in finding out the workable solution to this vexed issue further complicated the situation in Assam? The problem of Assam and other north-eastern states has become most complicated due to the vote bank and appeasement politics of the Congress party and its secular co-travellers. The rise of United Minority Front (UMF) during the 1980s in Assam had the tacit support of the then Congress leadership at the Centre and in the state also. The 2011 census figures show the alarming effects of this unabated and unchecked influx in India. The Army Chief has done the best thing to attract the attention of the nation to this stark ground reality in Assam by raising this issue of influx. Infiltration has been going on since pre-independence days and is still continuing. The difficulties in making our borders secure to check this influx is one of the reasons but that is controlled by the geographical and climatic factors more than the human efforts. Nevertheless, the ground reality cannot be ignored. Pakistan has indulged in proxy war with India since the 1980 when it launched the ‘Operation Topaz’ to bleed India a thousand cuts. It sponsored terrorist acts and the country is still suffering from them. Its leadership had not forgotten the promise Jinnah made to his then private secretary Moinul Haq Choudhury. After partition, Choudhury, who preferred to remain in India, was promised by none other than M A Jinnah who said to him, “wait for ten more years, I will handover Assam to you on Silver Platter”. The various census commissioners too had warned the nation about the unnatural growth of Muslim population in Assam vis-à-vis influx from Bangladesh. But out leadership, mostly that of the Congress party ignored those warnings in their pursuit of vote bank politics and appeasement of Muslims. The present Army Chief Gen Bipin Rawat only cautioned the country once again about the impending danger in Assam. To act upon it or not the government is there to decide. As for us, let us try to understand what his words mean and how prophetic they could prove instead of blaming him of indulging in politics or crossing his brief. That would be most unfair to him.